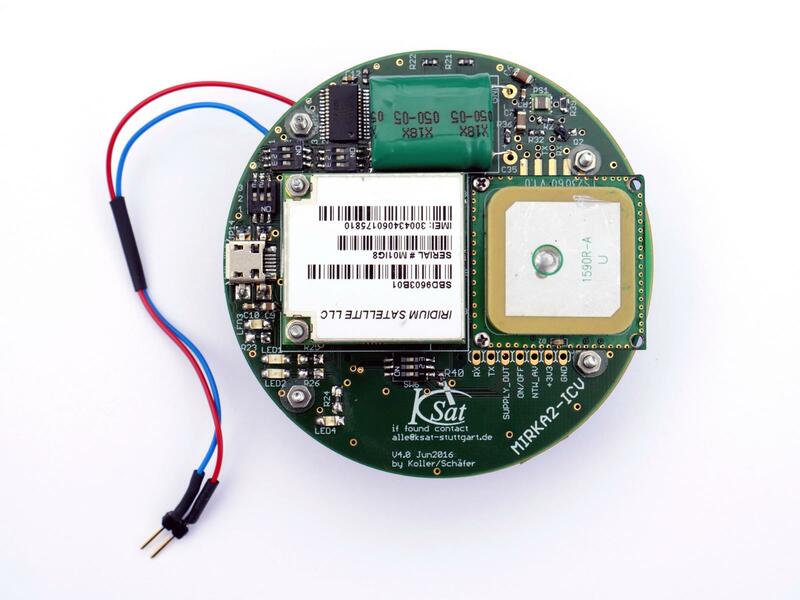 MIRKA2-ICV (Micro Return Capsule 2 – In-flight Communication Verification) is a high altitude balloon experiment by the Small Satellite Student Group University Stuttgart (KSat e.V.). It is the successor mission to the previously flown MIRKA2-RX (MIRKA2 – REXUS experiment) project. Its aim is to examine the inflight communication of the MIRKA2 capsule, as well as data transmission to ground using the Iridium relay satellite system. The capsule is a return vehicle meant to test and verify a heat shield upon atmospheric re-entry in the course of the CAPE (CubeSat Atmospheric Probe for Education) project and was already successfully flown within the MIRKA2-RX project on the REXUS19 rocket provided by DLR/SNSB. MIRKA2-RX was launched on-board of REXUS 19 on 18.03.2016 at 6:10 MEZ from Esrange, Kiruna. The separation occurred on 78 km altitude close apogee. Unfortunately, the capsule was only activated upon impact into the snow. 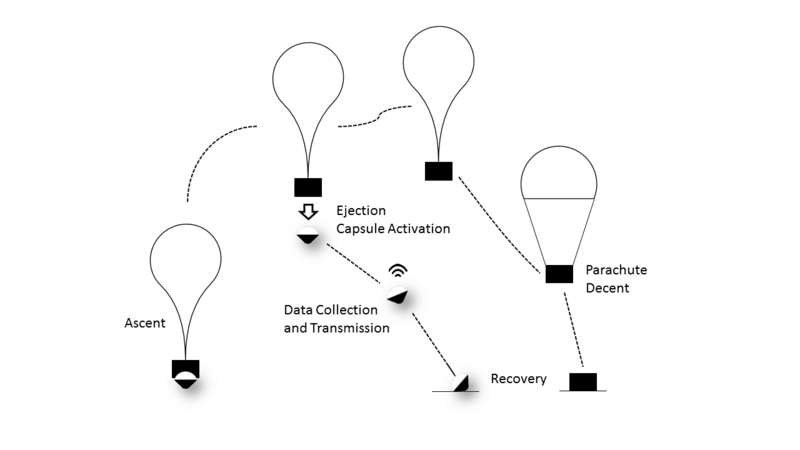 Thus, the functionality of the capsule's electronic system could be demonstrated in general, but not the ability to communicate while flying. Further, the flight stability could only be inferred by the impact hole, yet not proven. The transmission of data via satellite network is a crucial part of the CAPE mission and is especially important during the lower layers of the atmosphere. That is why the idea for a high altitude balloon project arose. 1. Testing if a new version of the activation mechanism. The launch campaign is scheduled for the 17.07.2017 until the 23.07.2017. The balloon and the corresponding equipment is prepared by a team from the University of Capetown's SpaceLab. The equipment was developed in a master thesis by Cairin Michie (details here) of which Professor Martinez is the endorsing professor. The launch site is located three hours by car towards the north of Capetown in the desert in order to prevent damage to humans and property. The capsule is mounted below an equipment box including tracking and communication devices as well as cameras. The equipment box and the capsule will be lifted by a weather balloon to 30 km where the capsule is detached and 35 km where the balloon will burst. The capsule will return in free fall from 30 km and sample flight data which then are transmitted over the Iridium satellite network. The equipment box will return on a parachute. A recovery of the capsule as well as the equipment box is planed if the terrain is suitable and the landing sites are known. The module consists of a Styrofoam box which is mounted below the parachute and the high altitude balloon. 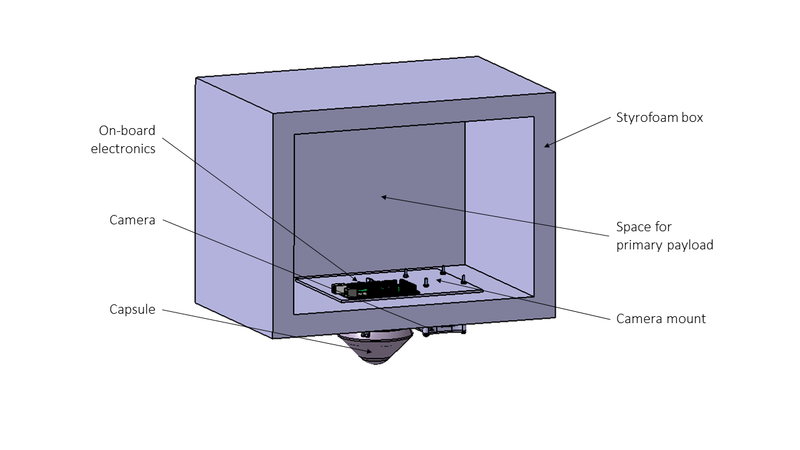 As the MIRKA2-ICV experiment is a secondary payload, the primary payload will be placed within the center of the box. The capsule is mounted in the separation mechanism which is attached to the bottom of the Styrofoam box. Nylon wires attach the capsule to the separation mechanism which will be molten upon ejection. The separation will be filmed with an action camera. 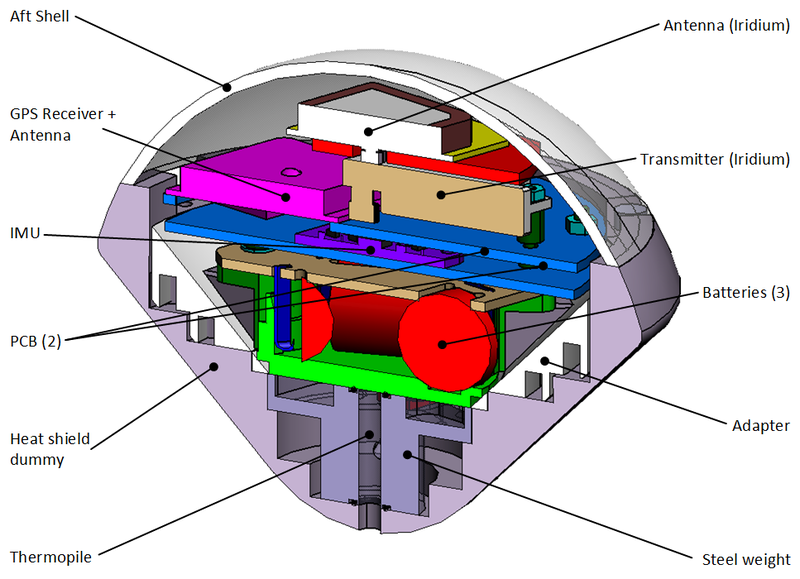 The set-up of the capsule is an adaptation of the version flown on MIRKA2-RX. Especially, the contour remains unchanged. The capsule's outer structure consists of the heat shield dummy and the back shell. Electrical contacts are placed in the back shell and serve as a deactivation method for the electronics system. Thus, the separation mechanism LOTUS is no longer needed. The tungsten weight is replaced by a steel weight. Because of the bigger mass of the aluminium heat shield dummy, the wall thickness decreased. An inlet imitates the original shape inside the capsule. The micro controllers of the electronic system are wired with the Iridium transmitter and the sensors. The capsule is capable of measuring attitude, position, temperature and pressure data. Besides the necessary changes previous a less complex version, the capsule's interior design remains quite similar to the previous version. Yet, improvements have been made to make integration less complex and to improve the fail safety of the overall design. Das Institut für Raumfahrtsysteme (IRS) steht uns mit viel Expertise zur Seite und stellt Räumlichkeiten zur Verfügung. Beta Layout fertigte kostenlose Platinen für das MIRKA2-ICV Projekt. Bereits früher haben wir von der guten Qualität und dem Service unseres Platinenherstellers profitiert.